This is probably the most thought-provoking book I have yet read in my research for my new novel. 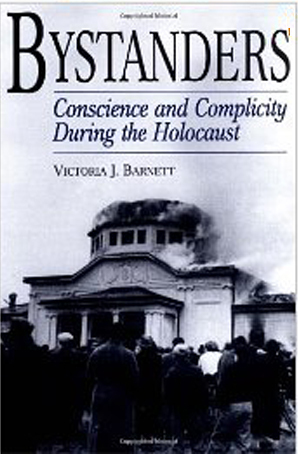 By examining the motivation and behavior of bystanders, and including the Catholic and Protestant churches as bystanders, Barnett clearly demonstrates how and why these bystanders were not neutral observers, but were instead complicit in furthering the extermination of the Jews by the Nazis. I will return to this book many times as I write scenes for my German and Polish characters related to these issues.